When it is okay to return to a full academic school day after concussion is different for every student, says sports neuropsychologist Rosemarie Scolaro Moser, Ph. D. Some may be able to return after only a day or two, while others may need to be progressed more slowly, and, in those cases, it is important to work with a health care professional who understands concussion and academic accommodations who can design a program tailored to the individual student's needs. 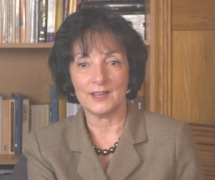 In the small percentage of cases where a student-athlete's concussion symptoms, such as headache, do not resolve quickly (a condition called post-concussion syndrome), treatment by a team of specialists is recommended, as there are no cookie-cutter answers, says sports concussion neuropsychologist, Rosemarie Scolaro Moser, Ph. D.
A student-athlete's cognitive function after concussion ordinarily goes through two, and sometimes three, phases depending on the severity of concussion, and when a concussed athlete returns to school, academic accommodations are often required. The best way to develop a plan to address the academic accommodations a student-athlete will likely need as he or she recovers from a concussion is for your child's school to consult with a neuropsychologist, says MomsTeam expert sports concussion neuropsychologist, Rosemarie Scolaro Moser, Ph. D.